"Thank you" means so much. 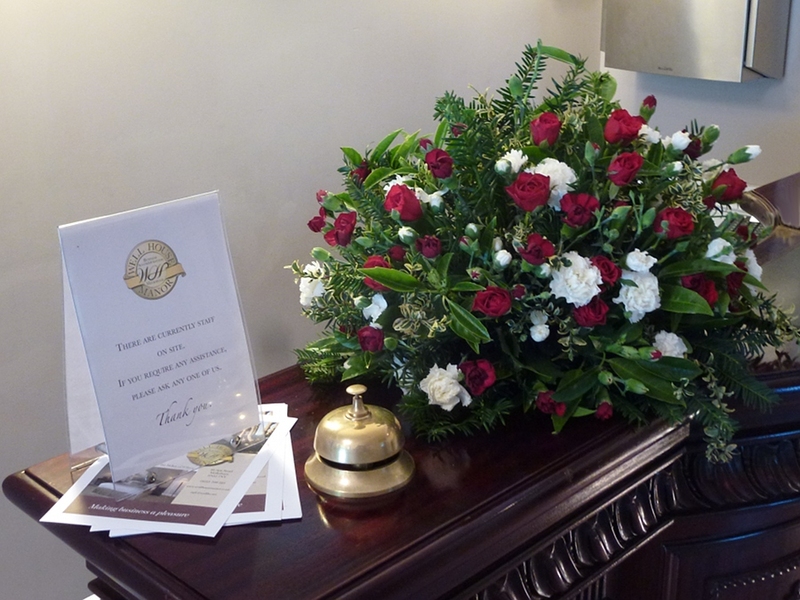 And this floral display - a "thank you" gift from one of our customers who's an expert at making such things mean so much to us at Well House Manor. It's proudly in display in reception, and it's a credit to the whole team who's looked after this particular customer. This is the quieter time of year in the hotel business - although we're fully booked tonight and tomorrow night, we do have room availability later this week and beyond, and would love you to try us out. Our main site is at www.wellhousemanor.co.uk which includes an up to date availability chart, and a booking link.